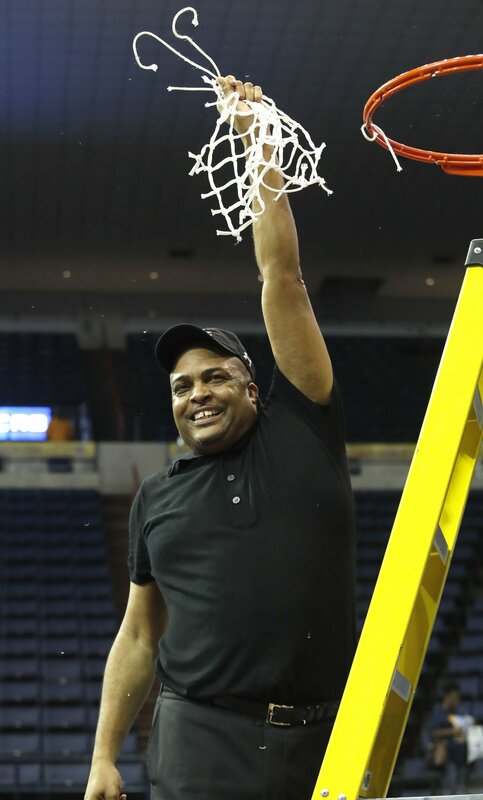 But, until they announced Ron Hunter accepted the job to become the program’s coach on Sunday night, the Green Wave never took the path of least resistance to get there. Four previous coaches stood at a podium and faced reporters in the heart of Uptown, the exact same way Hunter will on Tuesday at noon inside Fogelman Arena. The difference is, when Hunter lays out his vision to revitalize this moribund entity, he can do something none of them could. The 54-year-old can point to his past to explain where he wants to go, and how it gets done. Hunter isn’t a career assistant making a move to take over his own team, like Shawn Finney and Dave Dickerson. He’s not a head coach who flashed potential under difficult circumstances but never won big, like Ed Conroy. And Hunter certainly is not a wild-card reach, who simultaneously carried the labels of NBA expert and NCAA novice, like Mike Dunleavy, Sr. Some were better than others, but all of their Tulane tenures came and went without reaching the NCAA tournament or even the NIT. And, quite frankly, in most of those situations, Tulane simply didn’t have the resources or the willingness to do what its doing now. No, Ron Hunter’s arrival isn’t like any of his predecessors this millennium. Instead, he arrives at Tulane at the crest of his career, fresh off of earning consecutive Sun Belt conference championships. His Panthers pounded their Sun Belt brethren, racking up a 78-34 record and six titles (three regular season, three tournament) since joining the league in 2013-14, securing Hunter’s legacy as the best coach in Georgia State’s scant history. So, to many, this is a curious move for Hunter. He walked away from widespread popularity and a winning tradition to take over a program that hasn’t won its conference since 1992, last reached the NCAA tournament in 1995, and hasn’t even appeared in the NIT since 2000. So, why Tulane? And why now? It’s a moment revealing the Green Wave’s place in the national pecking order, a stature many in New Orleans might not realize, but one athletic director Troy Dannen is acutely aware of. The American Athletic Conference garnered four NCAA tournament bids, despite name brands like Connecticut and Memphis suffering through swoons. The league also agreed to a new 12-year, $1 billion television deal with ESPN, expected to pay a per-school average of $6.94 million per year, which is more than three times the slightly less than $2 million annual average received from the previous TV deal, according to the Sports Business Journal. In many respects, those facts confirm Tulane is part of a basketball power conference. And it needs to start acting like it. Dannen did that this month, first by clawing back his endorsement of Dunleavy and firing him at the conclusion of a disastrous 4-27 third season, then by quickly targeting Hunter and delivering him to New Orleans just eight days after the job opened. Hunter fits the model Dannen desired when he hired football coach Willie Fritz. He’s someone who came from nothing, climbed through the system by winning, earned conference championships and is looking for a bigger paycheck and wider stage while not fearing a challenge. And Fritz is the only major Tulane hire this century who can be deemed successful at this juncture. So the model holds some merit. Yes, Tulane has some unique challenges. Its arena is small and its fan base is beleaguered. But there are also institutional advantages, besides the AAC, lurking beneath the surface. The support from the university side has never been more aligned with the athletic arm, thanks largely to the Board of Tulane’s commitment. And the Hertz Center is a gleaming practice facility, putting Tulane on par with its power conference peers. And, while ticket revenue might not be pouring in, the financial backing to compete is in place. Put simply, this isn’t the job the Green Wave’s recent history says it is. Tulane shouldn’t be viewed like a low-major program, hoping to find an undiscovered star as its coach. Instead, unlike those predecessors, they’re now in a position to get a proven commodity and give him the necessary tools to win. Hiring Ron Hunter perfectly illustrates it.